A. RezPack bag packing machinery provides no fill and no seal when there is no pouch/ incorrect pouch opening, in addition to machine alarm. B. The machine alarms and stops if there is inadequate air pressure. C. The bag packing machine comes with safety guards together with safety-switches, and will alarm and stop when the safety guards are opened. D. The bag packing machinery has hygienic structure, with the parts that contact the products made of sus304 stainless steel. E. The packing machine adopts imported engineering plastic bearings, with no need to oil, no contamination. A. RezPack rotary pre-made bag packaging machine provides no fill, no seal as well as auto alarm when there is no pouch/ incorrect pouch opening. B. 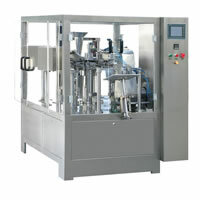 The packaging machine will automatically alarm and stop in case of inadequate air pressure. 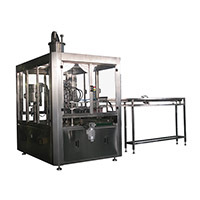 C. The rotary pre-made bag packaging machine, installed with safety guards with safety-switches, provides auto alarm and stop when the safety guards are opened. E. Designed with imported engineering plastic bearings, the packing machine requires no oiling and generates no contamination. 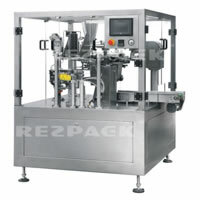 RezPack is an experienced pre-made pouch packing machinery manufacturer, located in China. It also provides vertical packaging machine, pillow type packaging machine, and related products. RezPack pre-made pouch packing machine can be used for packing solids, granules, powder, liquids, thick liquids, rice, pet food, and more. 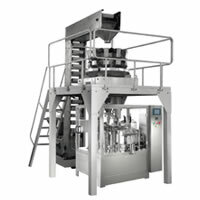 If you are interested in the pre-made pouch packing machinery, please see the subpage for more detailed information. 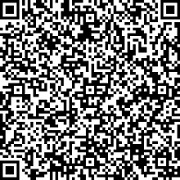 As an ISO9001 approved manufacturer, RezPack is able to provide high quality packing machine for customers all over the world. We at RezPack achieve this by using reliable materials compliant with related technical standards and implementing strict monitoring on each production procedure. As a result, RezPack pre-made pouch packing machinery, modified atmosphere packaging machine, tea bag packing machine, etc, are reliable and CE certified. Also, complete warehousing system and effective integration of enterprise resources helps reduce our logistics cost as well as the product prices. 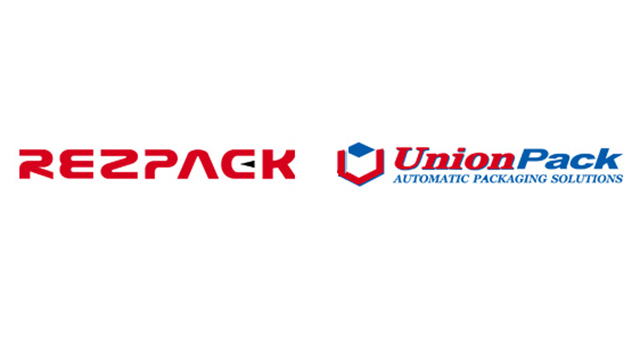 High quality economically priced packaging machinery, coupled with complete customer service, has won RezPack a large number of customers from the US, Australia, New Zealand, Canada, Mexico, South America, Europe, the Middle East, and others.